With more and more older people and well-heeled individuals opting for career breaks, it's no wonder that an increasing number of people are showing interest in how they can keep up their pension while they're away. The sooner you begin to save for retirement, the bigger pot you'll have when you do finally stop work. So it's important to keep contributing to your pension, even though you may take time out from work. The good news is that pension systems reforms are being put into place to ensure that women who take career breaks to look after their children will still qualify for full state pensions. Previously, individuals must have contributed a minimum of 39 years of National Insurance Contributions to get a full state pension. New laws mean everyone who has contributed for 30 years will get a full state pension, but only women retiring after 2010 will benefit from it. Still, it's estimated that while currently only 30 percent of women get the full pension, because of career breaks or only working part-time, the new legislation means that 70 percent will qualify. The bad news is that every employer has a different policy concerning career breaks and pension funding, and while some will continue to pay into your pension while you are away, others won't. While some organisations allow you to continue paying into your pension fund whether you are granted a paid or unpaid leave of absence, others require you to leave their pension scheme until you return, so you may have to make alternative arrangements. Again, ask your provider for detailed pension advice. A pension is similar to a special savings fund, it's a long-term investment with special tax laws. For example, every time you contribute you get a tax break, so in the end it all adds up. While you no longer have to retire until you draw your pension – although most people do – pension schemes have a minimum age before you can start taking it out. For most that is 55, although in 2010 that will change to 50. Check with your provider. The present retirement age for state pensions is 60 for women and 65 for men, although that will rise. What Are the Different Types of Non-State Pensions? Three types of pension exist, along with state pensions. 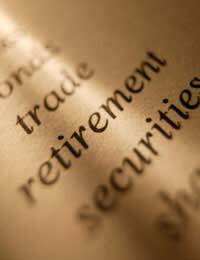 They are: Occupational salary-related schemes, defined contribution schemes, and stakeholder and personal pensions. The first two have benefits which can include employer contribution, lump sums paid to dependents if you die while in service, pensions for spouse and dependents when you die, and pensions if you retire early due to ill health. Some employers also offer personal retirement pensions, or you can start one yourself. Consider investing a lump sum into your pension before you go on a career break. Don't forget the importance of continuing with your National Insurance contributions while you are on a career break. This is especially important if you have no private pension. Company pension schemes will have more complex rules as they are connected to employee benefits etc. Discuss your arrangements, especially if you plan to return to the same job. Most personal pension schemes will allow you to reduce payments or freeze them entirely while you are on a career break, sabbatical or grown up gap year. Find out well in advance of your departure from work, as it may take some time to get everything settled. If you leave your job, you are entitled to a pension contribution refund if your period of employment did not exceed two years. Some volunteer organisations offer pension contribution payment plans for people working for them during a career break. Ask around to find out what's on offer. For more information or impartial advice about your employer's pension scheme, check with the Pensions Advisory Service. Investing in a pension can be crucial to finance your retirement and support you in your golden years. Don't leave it until the last minute, and make sure all your bases are covered. The financial ramifications of time out from work – and/or from the UK – should not dictate whether you take a career break or not. If you do the right homework, a healthy pension can still be yours.